What Baba Ramdev Told About Yoga for Seniors? Many yoga experts believe yoga is not only for men and women, yoga is for seniors or elderly beginners. 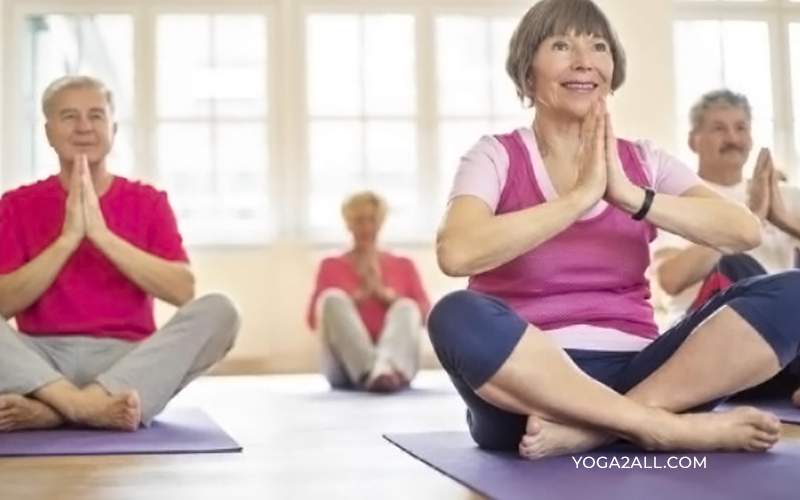 They share some important tips on how yoga postures can help seniors. When you are young and feel good from your body and mind, but when you become old you may not feel the same, but yoga helps you feel better and stronger. Yoga helps you feel good from your inside out. Here we have discussed senior yoga or yoga for seniors that tone your body up and keep your internal organs balanced including hormonal system. Here we have discussed some important yoga for senior men and few yoga for senior women. Let us read. Yoga for old balance the entire system of body, refresh the mind and spirit. Hence, it is important for elderly people of all ages to practice yoga at home on a regular basis. 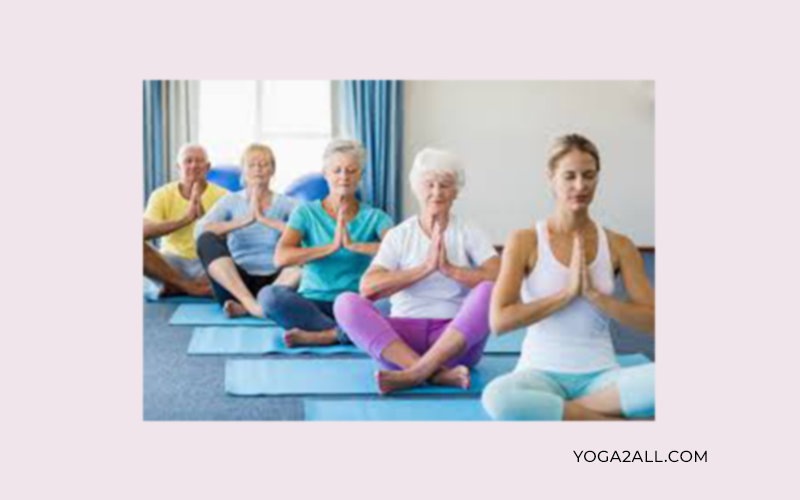 A question certainly come up in mind – Is yoga really for old people? 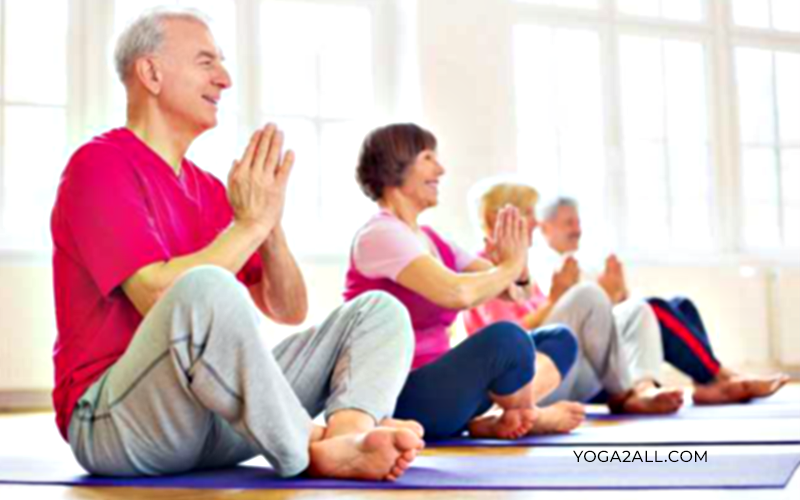 Can seniors above 60 or 65 years of age practice yoga? Beyond doubt yoga is good for elderly people. Elderly people can do certain yoga asanas. Some yoga poses are there for seniors. If you are senior person or reading this page for your senior, then you should know one thing – the basic premise of yoga is UNION. The UNION of different facets of human existence, such as body, breath, mind and spirit. The word ‘Yoga’ came from the word ‘Yuj’, which denotes ‘TO UNITE’. Hence it is possible for people of all body type and all ages, as well as all walks of life to use the yoga asana techniques for building harmonious as well as joyful existence. Yoga for aged people bring happiness in them. When a senior does yoga, he or she keeps in mind certain guidelines. Here we have discussed the types of yoga asanas a person can do when his or her age progresses. Do substitute warm up with some brisk walking as well as joint movements. You can practice Triangle Pose and Kati Chakrasanas that are best yoga for seniors. You can also try Butterfly Pose, Cat Pose and Child Pose. Most of the trainers believe the best yoga for senior men are Standing yoga postures and Standing Spinal Twist postures, sometimes cradling and body rotation poses are good. Expert trainers also believe best yoga for senior women are Cobra Pose, Locust Pose and Knee to Chin Press Pose. Bhujangasana, Locust Pose is called Shalabhasana and Knee to Chin Press Pose is called Pawanmuktasana. Yoga Nidra is often said one of the best yoga asanas for old. It is by far one of the most important parts of any yoga practice and for any age. Yoga nidra is helpful to assimilate the effect of yoga asana into the system. Many people think there are no certain yoga called yoga for aged people. They are somehow right. Because you will not find any yoga style that you say a perfect yoga for seniors. As discussed it is up to the person, who is practicing the yoga, up to his or her body’s flexibility and strength. 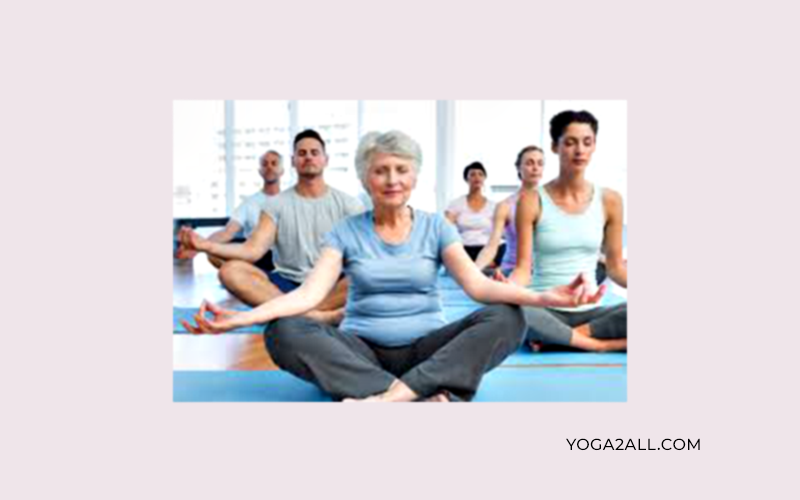 Sukshma Yoga can be practiced and included in a senior yoga plan. Senior people can practice this asana 20 – 30 minutes. It generally includes some simple as well as gentle exercises for certain body parts, like neck, hands, feet, knees, ankles, hips etc. According to Patanjali’s Yoga Sutras, postures or asanas “Sthira Sukham” that is stable as well as comfortable is called an asana. If any yoga pose, helps with awareness, in a stable as well as comfortable manner can be called as asana. Senior people cannot do the same yoga postures practiced by young people. Young people certainly have more strength and endurance compared to old people. Due to the reason, certain yoga postures are called yoga for senior men and some are called yoga for senior women. They are classified in a way that senior people can comfortably practice yoga without any injury. Some yoga postures are concentrated on cardio-vascular movements and abdominal parts and some are concentrated for people with higher endurance and body fitness. Do Elderly Yoga Asanas Help Increase the Efficiency of Immune System? As an individual age increases the efficiency of a person’s immune system decreases. Day-to-day yoga practice, including Pranayama (Breathing Exercise) and Meditation can help seniors avoid and prevent common physical and mental issues, boost immune system, remove misery and lead to a calmer and happier life.